We are in the midst of the busy holiday season, and I am struggling to stay afloat! 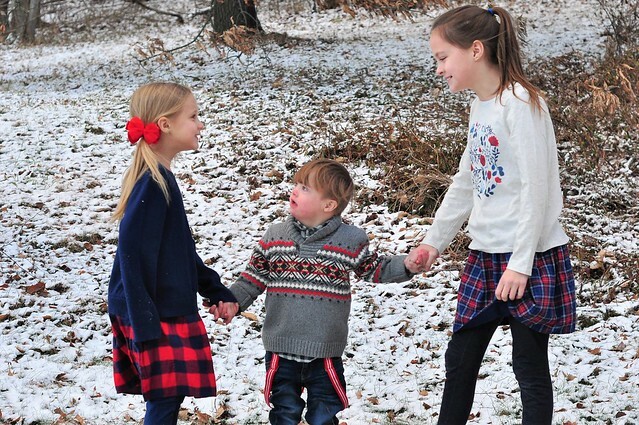 My to do list is 5 miles long, we have plans every single day, and I'm wondering how we're going to check off all of our favorite Christmas Traditions from our Christmas Bucket List. We should be enjoying the holiday season with our kids, but instead, we spend more time rushing from event to event, and trying to accomplish tasks from our to do list! Like many other moms, I am stressed to the max, and I'm trying to do it all. And truthfully, that's the exact opposite of what I should be doing this time of year. 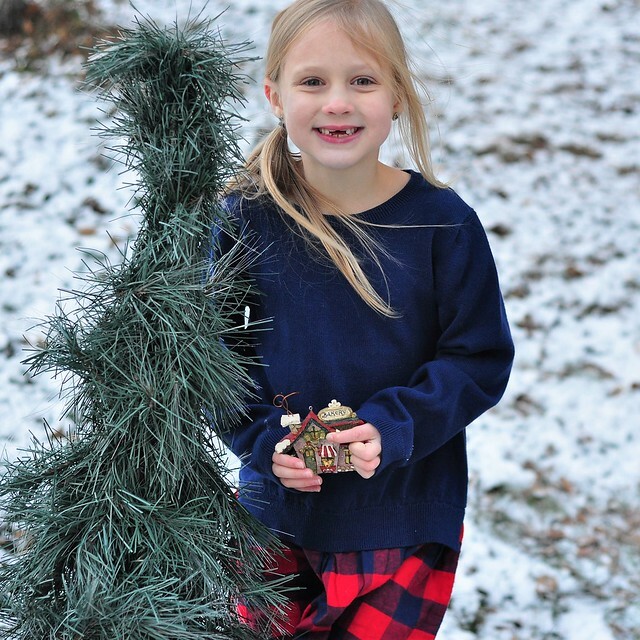 My wise 6 year old, Lily, summed up Christmas perfectly: "Christmas isn't about getting stuff and doing things. It's about love and spending time with people who love you." Here I was, stressing about getting everything done, while Lily realized the true meaning of Christmas. It was a reality check for me! I vowed to slow down for the last few weeks of the holiday season and get back to the simple traditions. Our cookies might come from a refrigerated can, we won't be able to attend every Christmas event, presents will be store bought and commercially wrapped, and Pinterest-worthy crafts will be few and far between. But everything we do will be done together as a family, and that means so much more than checking off every item from a bucket list! Christmas is about love, not things. Snuggle up on the couch for holiday-themed Family Movie Nights. Come up with a list of your favorite holiday movies and shows, and allow everybody in the family to add to the list. Put on pajamas, make some popcorn and hot cocoa, and curl up on the couch to work through your list of family favorites! Sit down and actually read those holiday books. We have a designated crate just for holiday books. Over 13 years of parenthood, we acquired quite the collection of Christmas books, but sadly, we never have time to read them all. Setting aside just 10 minutes each day to read a few favorites is so worth it! 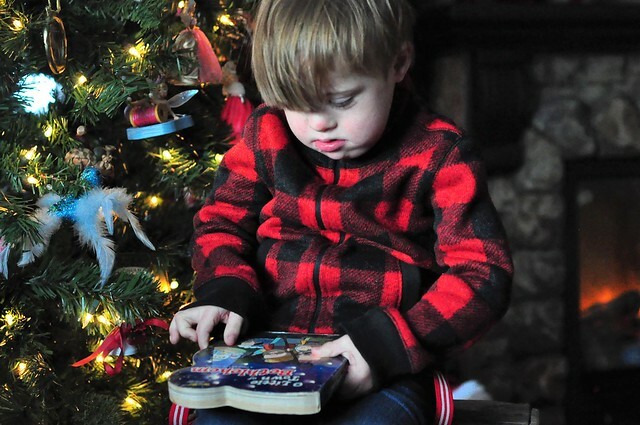 Cuddle up with your kids under a cozy blanket, and just start reading! Go on your own holiday lights tour. Pajamas? CHECK. Travel mugs of hot cocoa? CHECK. Yummy cookies? CHECK. Blankets? CHECK. Now climb into your car, put on Christmas music, and just start driving. I guarantee you will find a few awesome holiday light displays on your drive! 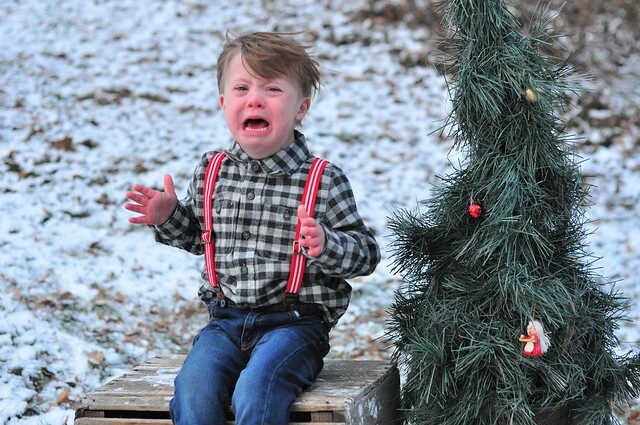 Sometimes the holiday season is so busy that kids don't get the chance to be kids! LET them go outside and burn off some energy. 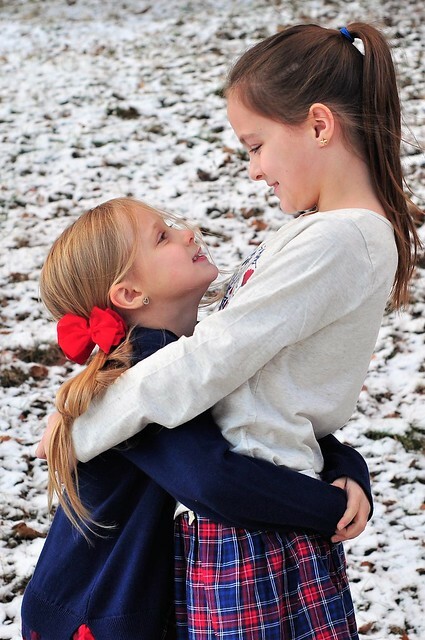 Even if it's cold and snowy, it will instantly refresh them! Work together on Christmas Cards. Kids want to take part in so many activities, but they are usually just shepherded around and told to do things during the busy holiday season. It can be hard to reliniquish control with certain things, but kids want to help. Let them help with your family Christmas Cards. Kids can write a brief note or draw a small picture in each card, older children can help address the cards, and younger children can stick on the return address labels and the stamps. It's a win for everyone involved! The kids feel proud about helping, and this tedious task will get done a lot faster with their help. Make the activity more festive by putting on some holiday music while you work together! 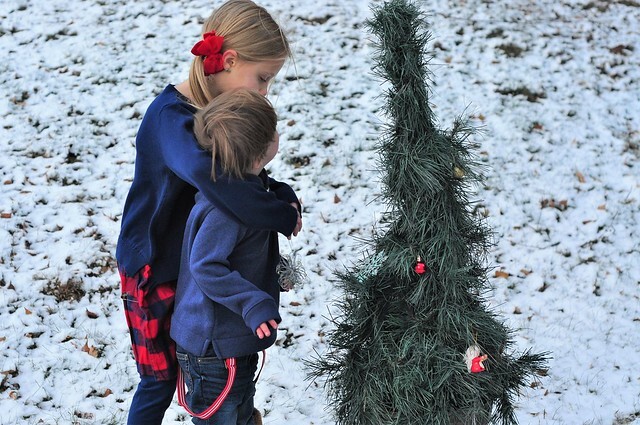 Give the kids their own tree. I know how hard it is to let kids help with the holiday decorating. I spent many years rearranging ornaments and decorations, before finding the perfect solution: give them their own tree and let them choose their own ornaments! My kids have their own mini Christmas Trees, and they are 100% in charge of decorating them by themselves. They love having their own decor on display during the holiday season! Create a family holiday music playlist. My family loves Christmas music, and we all have our own unique preferences. We put together a family playlist, and we play it within our home as much as possible! We alternate favorite song choices so everybody has a few of their favorites throughout the entire playlist. We have many singalongs during the holiday season, and it definitely creates a happy, festive atmosphere in our home! Work in a bit of quality time into each and every day. During the holiday season, we tend to go full speed from the time we wake up until the time we go to bed. Sometimes I crawl into bed after my kids are asleep, and think of how little time I spent hugging them or talking to them that day, and I instantly feel guilty. Showing how much we love each other is the most important thing! Whether it's sitting down for a family dinner, having a cup of hot cocoa together before bed, or enjoying one of the relaxing activities I mentioned above, make sure you make time to reconnect with your family each day. Everybody will benefit from it, and it's a great way to teach your kids just how important it is to make time for your loved ones during the busyness of life. Put your minds together to come up with one new holiday family tradition. 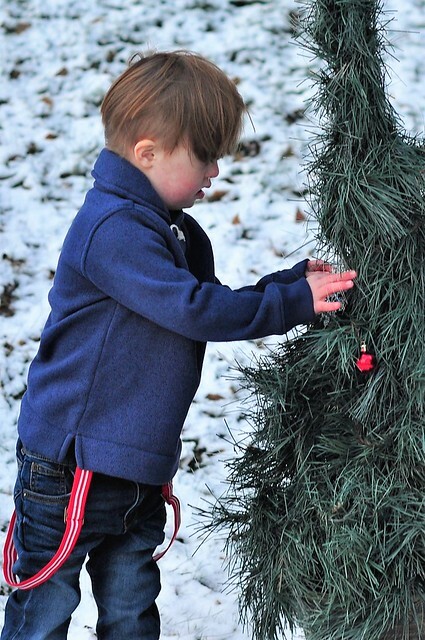 My family has a long list of favorite holiday traditions! Some were carried over from our own childhood, while others emerged after we had children. There are so many fun holiday traditions, so do some research together, narrow your list down to the absolute favorites, and choose one new tradition to add to your celebration each year! Doing something new is so exciting! Take the kids to the store to let them choose their own holiday outfits. 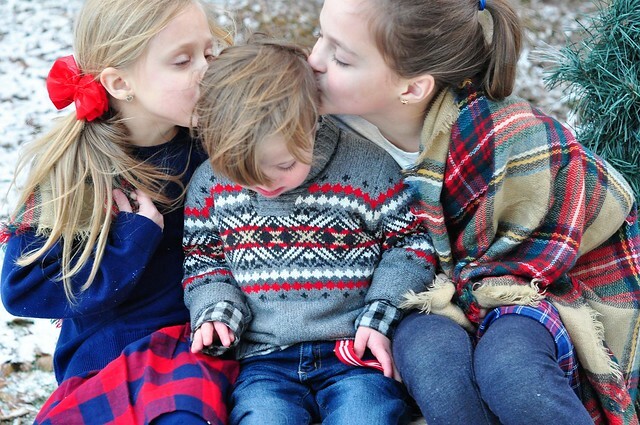 This one doesn't sound relaxing, but let me explain...I understand wanting to have your kids dressed perfectly for the holidays, but sometimes it's important to give them a little bit of control, especially when they get a bit older. 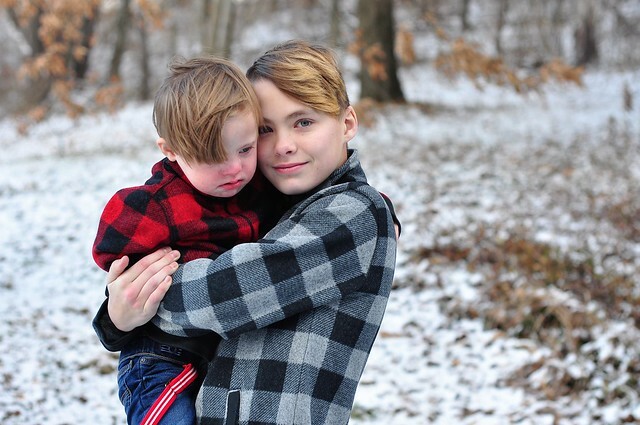 As my kids grew, battling over clothing became my new reality. Choosing holiday outfits became a very stressful ordeal for all of us, and it's something I began to dread. Giving my kids options was the perfect solution to the problem! I take them to the store, let them decide on a color palette together, then I stand back and let them shop for a few options. I occasionally offer gentle guidance, depending on the occasion, but ultimately, the choice is theirs! They work together, they end up feeling happy about their outfit choice, and it's often something they wear over and over again. All they want is to be comfortable during the holidays, while showcasing their individual styles. Allowing them to choose their own holiday style means that everybody ends up happy, and leaving the store with minimal stress! After all...there's enough stress during the holiday season! Worrying about clothing shouldn't be one of them! 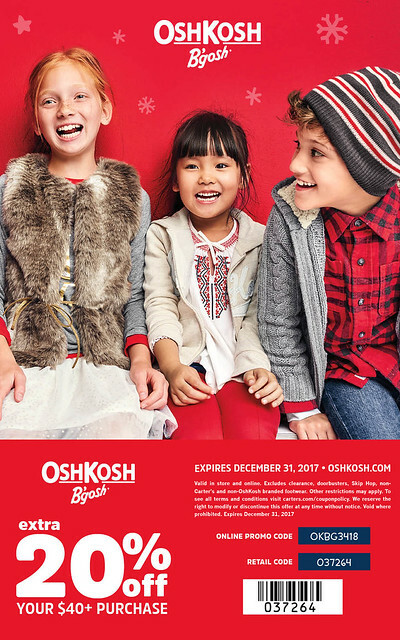 If you're still searching for adorable holiday styles for your kids, or even clothing to give as a gift, OshKosh B'gosh is your place to go! OshKosh B'gosh offers comfortable, quality, fashionable clothing for kids baby-sized to size 14. And right now, you can save BIG with 20% off a $40 or more purchase! 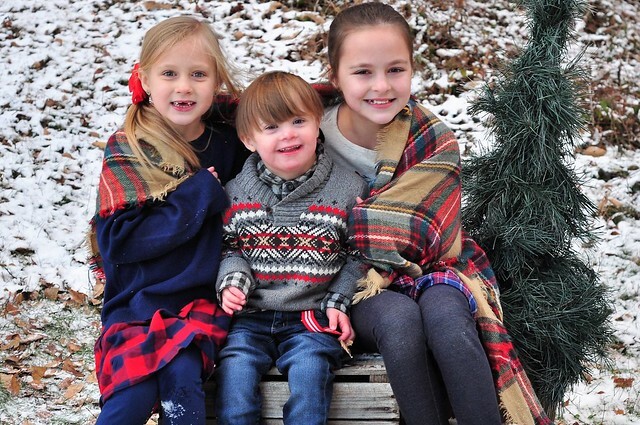 Why do I choose OshKosh B'gosh for my kids? It's not just because of the consistent quality or the timeless yet trendy styles. It's mainly because they offer coordinating styles for my four children who range from size 2T to size 14! Trust me when I say that there aren't many brands that are like that. Plus the clothing is age appropriate, which makes me happy, and comfortable, which makes my kids happy! 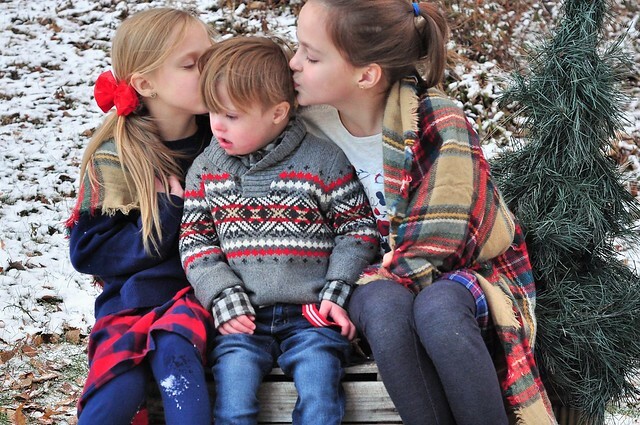 I used to love having my kids match during the holiday season, but now that Phase One (AKA Dylan and Lexie) consists of a teen and a tween, that ship has sailed! They will, however, tolerate coordinating styles with Lily and Liam. That compromise makes me happy! OshKosh B'gosh has plenty of coordinating styles that look great on kids of all ages, and there truly is something for every personality. 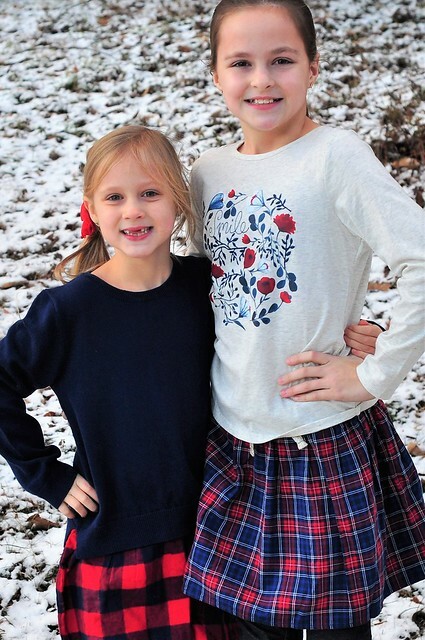 There are styles that make my trendy teenager happy, styles that please my fashion-loving 10 year old, styles that make my 6 year old feel like a princess, and styles that are perfectly preppy for my adorable 4 year old. 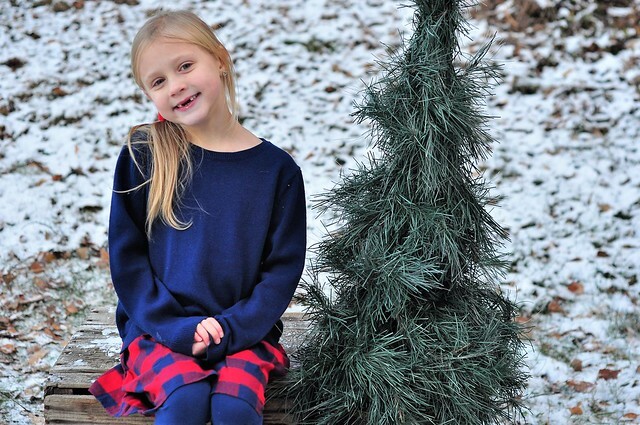 Their personalities simply shine in OshKosh B'gosh clothing! Looking for an OshKosh B'gosh store where you live? Find your local store with the OshKosh B'gosh store locator! While you're shopping for adorable holiday styles for your kids, fill up your basket with a few holiday gifts as well! Right now, the clearance deals and sale prices are amazing at OshKosh B'gosh. I have a few fleece jackets and Christmas Eve jammies wrapped up for my loving bunch! 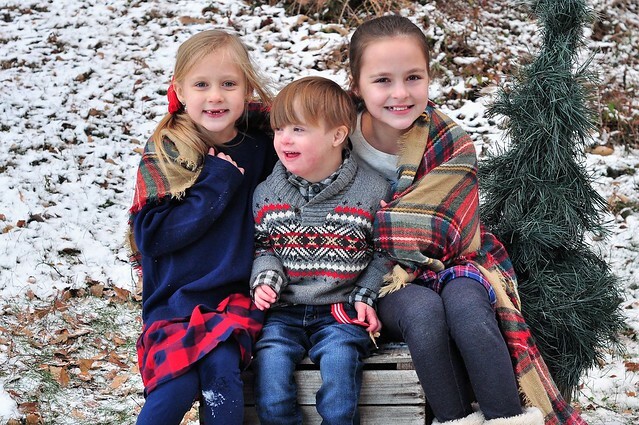 I'm giving away a $50 OshKosh B'gosh gift card to one lucky winner! In the spirit of simplicity, I'm keeping this giveaway simple as well. Simply leave a comment telling me who you will be buying OshKosh clothing for! For additional entries, visit my Instagram post and follow the instructions! *Giveaway will end on December 21, 2017 at 11:59 PM EST. Winner will be chosen randomly and notified the following day. I will be buying for my grandbaby who is now 6 months old! I would buy for my 7-year-old son and 4-year-old daughter. 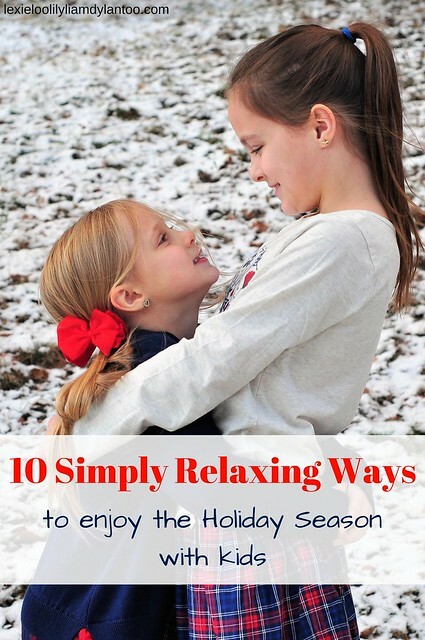 Your ideas to slow down and enjoy the holidays are great. I love all the pictures. I would shop at Oshkosh for my grandsons. These are all such great ideas! This time of year really is crazy so it's definitely hard to take time to actually relax. A great post to remind us Mommas it’s ok to say “no” to some things and “yes” to what really matters! We put so much pressure on ourselves to Check of “to dos” on a list we created! Spending time with our babies and family, making those around us feel loved and comfortable is what is important. Remembering the TRUE meaning of Christmas and the awesome gift given to us all should be the focus. Thanks for your words and tips! Thanks for the clothing info as well! Much love and Merry Christmas! What a great reminder! It’s so easy for us Mommas to put such pressure on ourselves to cross off the “to do” list we created for ourselves! Remembering the TRUE meaning of Christmas and the amazing gift given to us all is key. Spending time with our babies and families instead of stressing for everything to be perfect is where we fail. Being happy in our perfectly imperfect life and making sure those around us feel loved and welcome is what’s important! Thank you for the information on these adorable clothes! Merry Christmas! Such a warm and cozy post. I love the outfits you chose. I'd buy Osh Kosh for my boys! Great thoughts and ideas! And great outfits :) I'll buy for my 3 year old, Desi! I'll be buying for my daughters. These pictures are so adorable! I try to have my girls tell me what holiday stuff they want to do. Some things can't be avoided- like the huge 5 hour all district holiday concert (which they are in) but the rest I try to have them pick. This year we've visited with Santa once instead of the 3-4 times we normally do but we've relaxed a lot more and taken more pictures. So I count it as a win. My girls, 4 and 8! These are great tips! I LOVE the kids' outfits, so so cute!